Why, yes, Mr. Hitler, I do object. Character driven historical dramas used as vehicles for acting showcases have long been the bread and butter of many an Oscar campaign. 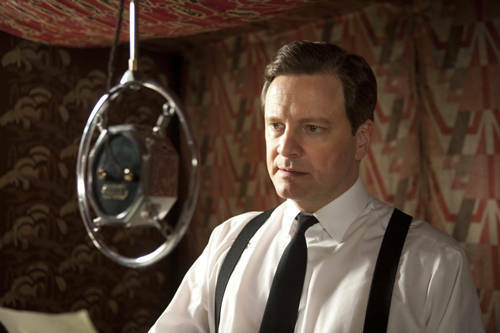 The King’s Speech is one such throw-back picture, harkening to a simpler time when entertainment was good and pure. It’s 100% by-the-numbers bread and butter…but it’s that really good bread, you know the kind that is crusty on the outside and warm and tender inside, and the butter, it’s like that really fancy kind infused with garlic and stuff.